Do any of these scenarios sound familiar? If so, you may want to start the process of getting some help with your child’s education. When your child is diagnosed with a disability, the rule of thumb for parents is: the earlier you can document the problem, the better. Start by gathering information to support your concerns. Contact daycare providers, the child’s doctor, or anyone else who might be interacting with your child or knows them and may have observations to share. Are they seeing what you have noticed? Have them put something into writing. Then it’s time to contact your child’s school for help. 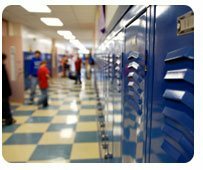 Put your concerns in a letter to your child’s school and be sure to include the date. Keep a copy of this letter in your files. This letter will start the “timeline” that documents the disability and need for extra support. Clearly state that the letter serves as a request for a multi-factored evaluation and that you are giving consent for this to take place, and be sure to clearly outline your observations and concerns. Include copies of any documentation, evaluations or assessments that support those concerns. Also, describe any special or extra supports that the school may already be providing for your child. Be sure to provide your contact information with your address, both day and night phone numbers, email and cell phone. Remember that a reasonable time frame for response would be (1-2 weeks), and address your letter to the principal and Special Education Coordinator of your school or district. By doing this, you have started the process for your child to get the help they need. There are timelines that each state must go by, but the final determination of what type of help they will provide should be made within 100 days. The process may vary from state to state. You do have the right and responsibility to participate in any meetings with your school during the evaluation process. There should be several meetings: one to plan what evaluations will take place, which could include screenings, classroom observations, monitoring, consultations, assisted technology, and materials to support student achievement. Your child must be assessed in all areas associated with the suspected disability including an appropriate evaluation in the areas of: health, vision, hearing, social and emotional status, general intelligence, academic performance, communicative skills, and motor abilities. The members of the team from the school will come together to review the results and determine if your child meets the criteria for services. The right to receive those services has been mandated under Federal Law—The Individuals with Disabilities Education Act (IDEA) provides that if school-aged children fall under one or more qualifying conditions or under Section 504 of the Rehabilitation Act of 1973, they should be eligible for support. If your child is determined to be eligible, your child’s team will develop an “Appropriate” (which means equal to an education that is provided for those students who are not disabled) program that will be designed to provide an “educational benefit for a person with disabilities.” This covers all school age children who meet specific criteria who may fall under on or more qualifying conditions , ie autism, specific learning diabilities, speech /language impairments, emotional disturbance, traumatic brain injury, visual or hearing impairment, and other health impairment. Under IDEA, an Individual Educational Plan will be made. The name of this plan will vary from state to state, but it must be developed within 30 days. This plan will be reviewed on a yearly basis, to establish goals for your child’s education and the supports that will be provided. Your child will be re-evaluated every three years to determine eligibility for continuation of services. A child may also receive services under Section 504, which has less specific procedural criteria under which school personnel and services are provided. Under Section 504, a child who meets the definition for qualified “handicapped person” may receive services,, such as a physical or mental handicap that substantially limits a major life activity. This would include a child who has a disability that impairs walking, seeing, hearing, speaking, learning, working, or caring for him or herself. 504 services cover a lifespan, and safeguard a person with disabilities in areas of school, employment, transportation and public access to buildings, among other things. If a 504 plan is developed, it will be reviewed periodically, usually annually, and the guidelines are more flexible. If your child is denied services, you have the right to request that an independent evaluation be done to assess your child’s needs. Under IDEA the school will be responsible for the expenses, while under 504 the parents would cover the costs. You may also appeal the decision under due process with the state education department. Each state may have a slightly different process—you can find out more about the process in your particular area by accessing the websites for the Department of Education for you state/province. Also check the yellow pages and web sites for advocacy groups for various disabilities in your area. They can be a strong support for parents during this process, and have materials that can help you on this journey. Remember: You are your child’s advocate. You know your child better than anyone else at the table and it is your role to help develop the best educational supports to meet your child’s needs. You should be notified of any planning meetings scheduled for your child. Prepare for these meetings by making notes and doing research. Be ready to give your views: you are an important part of the planning process. Build a file or binder about your child. Keep copies of all correspondence, (send important concerns by registered mail), evaluations, minutes of the meetings and your copy of the educational plan. This can become one of the most valuable documents in your child’s life. Most schools make sincere efforts to provide the education and services your child needs. But there may be times where you will need to push for things that you feel will make a difference for your son or daughter’s education. Accommodations and supports may range from very minor changes to more restrictive or creative educational settings. Some supports may be as simple as alternative means of testing for your child, (oral testing, extended time to test, etc.) to employing a one-on-one aide who will support your child on the bus or in each class. The beauty of the team approach is the problem-solving and creative solutions that can be developed to meet the needs of your child. This is why it is called the individual education plan. Remember we must “parent the child we have.” It is our job to advocate for the best education that can be provided for your child. You know your child, and you are their cheerleader and supporter. Your involvement in their education will make all the difference. Jill Fletcher has a Master’s in Education and is a certified Assistant Principal. Jill also taught for five years in a special program for “Youth at Risk of Dropping Out of School” in New Brunswick, Canada.